People, who have recently moved, are looking to start new relationships with a wide variety of businesses. 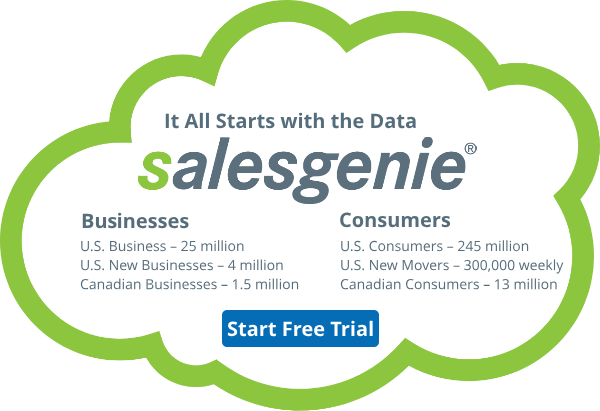 Beat your competitors to their doors with targeted new mover leads from Salesgenie. With a number of demographic and firmographic search selections to choose from, you’ll be able to locate the ideal prospects for your business. Choose from dozens of options to target the perfect prospects for your business. Rely on our accurate data to get you to the right decision makers. Our detailed profiles will help you better understand your prospects. Choose from dozens of search selections to pinpoint the right new movers sales leads for your needs.